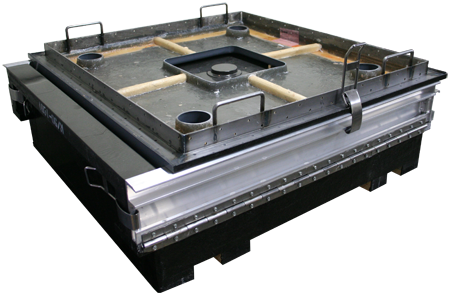 for Polymer Concrete, Cultured Marble, Solid Surface, Engineered Stone & more. 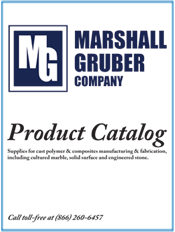 Formerly from Gruber Systems, Inc.
Marshall-Gruber is proud to now provide high quality Gruber Cast Polymer Molds - for cultured marble, cultured onyx and solid surface manufacturing. 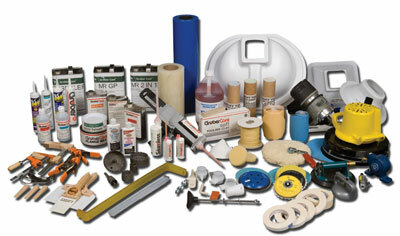 Supplies and accessories used in the manufacture or fabrication of cast polymer products. 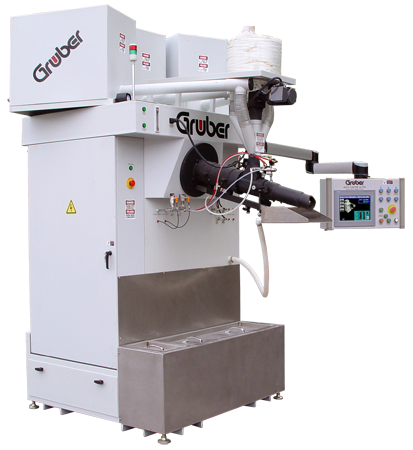 Hundreds of granite-effect solid surface filler materials for custom manufacturing of solid surface cast product. 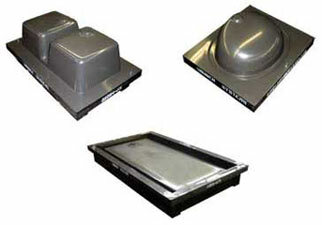 Quality Duraflo™ whirlpool components and accessories for whirlpool baths. Seamless™ Adhesive is a specially formulated, two-part 10:1 ratio solid surface seam adhesive, featuring a working time of 10-15 minutes and can be sanded and finished within an hour. Seamless Adhesive is laboratory color matched to solid surface materials from 25 different solid surface material suppliers to ensure you receive an accurate, compatible color for your needs. 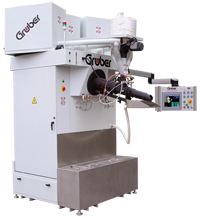 Marshall-Gruber represents Gruber Systems’ process control equipment - including the well known Autocaster continuous casting systems, Batch Mixers, Bulk Powder Management, Handling and Dispensing, Conveying Equipment and much more. Supplies for Cast Polymer & Composites Manufacturing, Including Cultured Marble, Solid Surface and Engineered Stone.